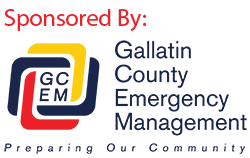 This is a message from the Gallatin County Sheriff’s Office. An armed suspect is currently being looked for by law enforcement in the Quinn Creek area on Bozeman Pass. The suspect was involved in a shootout with law enforcement and is now on foot in the area. Everyone in the area is to remain inside their houses with their doors locked and do not open your doors. Law enforcement is currently searching the area and will be moving around the houses. If someone who is not a law enforcement officer in uniform approaches your home, call 911. More information will be provided when it is available. This message was sent at 2:30 am on July 11th. This message was posted automatically from the Community Notification System. This entry was posted in Emergency Information. Bookmark the permalink.